""...delicious and relaxing and helps calm nerves. "... I sleep and feel better when I drink this" "... keeps me alert and yet calm and un-agitated" "...wonderful relaxing tea. 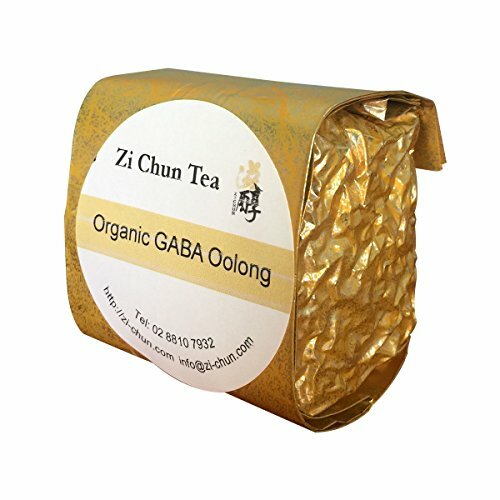 This amazing tea is our top selling product. It is not only exceptionally healthy, but is also a refreshing, enjoyable and pleasant tasting specialty tea that can be enjoyed many times over throughout the day. Can be served hot or as an iced tea. Each brew can be re-steeped several times Some find it beneficial to enjoy a cuppa "the morning after" a big night. It really does get the mood back on track and provide that MAGIC TOUCH OF GABA CALM to soothe and relax and get that feeling of WELL BEING and IN CONTROL that we all need. 30 DAY 100% MONEY BACK GUARANTEE. If you are unhappy and dissatisfied with the tea, send it back and we'll refund you in full. Brewing Tip:The key to the perfect brew is to pour the brewed tea off the tea leaves into another container at the correct steeping time. A common mistake people make is over-infusing their tea and causing it to become bitter and astringent. Storage: Store in an airtight container or packet in a cool dry place away from moisture, direct sunlight and strong aromas. 100% ORGANIC AND PESTICIDE FREE. Grown naturally in Taiwan and harvested by hand. 100% Camellia Sinensis tea leaves. No other additives or ingredients. If you have any questions about this product by Zi Chun Tea Company, contact us by completing and submitting the form below. If you are looking for a specif part number, please include it with your message.